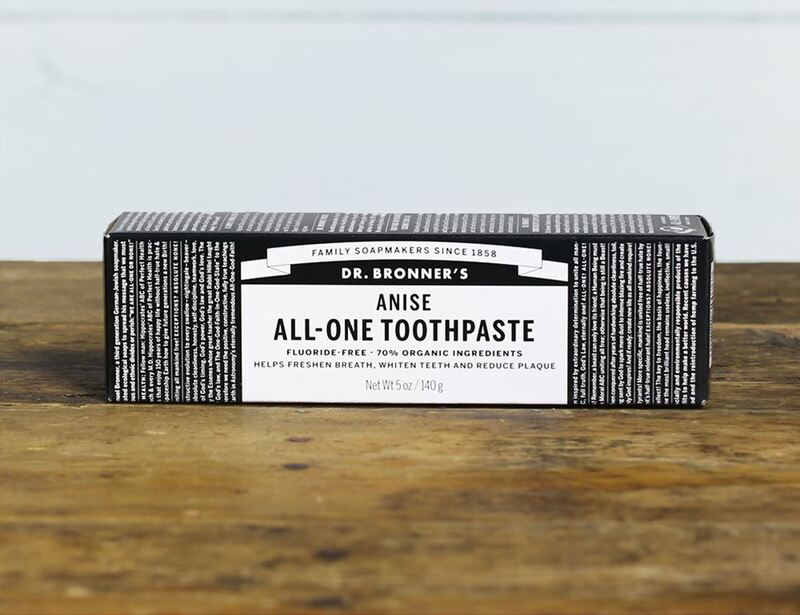 Fluoride-free toothpaste to help give you sparkling white teeth and a clean conscience to boot. That’s because Dr. Bronner’s concoctions are vegan friendly and never tested on animals. This one comes packed with liquorice-like natural anise flavour, and is free of artificial preservatives and colours. It even comes in 100% recyclable packaging. Glycerin*, Aloe barbadensis leaf juice*, Hydrated Silica, Calcium carbonate, Xanthan gum, Sodium bicorbonate (baking soda), Potassium cocoate, Illicium Verum (Anise) seed oil*, Mentha arvensis (menthol) crystals*, Cocos nucifera (coconut) flour*, Cocos nucifera (coconut) oil*, Tocopherol, Citric acid, Stevia rebaudiana leaf / stem extract*.